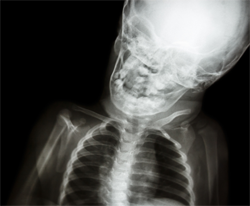 Brachial plexus injuries are one of the more common birth injuries suffered by babies. The brachial plexus nerves are easily injured if the baby’s shoulder becomes lodged on the mother’s pelvic bone during delivery. Like most birth injuries, a brachial plexus injury may be preventable in some circumstances, but not in others. An experienced birth injury lawyer can help you to determine if your child’s injury might have been prevented or was caused by medical negligence. Gestational diabetes in the mother, which can cause the fetus to grow larger than normal. If you have had prior births during which shoulder dystocia or a brachial plexus injury has occurred, then you are at much higher risk of the same occurring with your current pregnancy. When any of the above risk factors are present during pregnancy, doctors and midwifes often recommend a planned caesarean section instead of a vaginal delivery. This is particularly true if more than one risk factor is present. Shoulder dystocia can occur even when none of the above risk factors are present during the pregnancy. Doctors and midwifes must watch for signs of trouble during labour and delivery. A slow or prolonged labour might signify that the fetus is having difficulty moving through the birth canal. However, weak contractions or improper position of the fetus can also cause prolonged labour. Before recommending the use of forceps or a vacuum extractor to help speed up delivery of the fetus, the doctor should verify that the fetus has not become lodged in the birth canal. If shoulder dystocia occurs, the use of forceps or a vacuum can cause permanent brachial plexus injury by applying excessive force to the lodged fetus. It can be difficult for parents to determine if their child’s injury was preventable. Contact an experienced lawyer as soon as possible to get the advice that you need and protect your child’s legal rights.